The Argus, 14th January 2009. 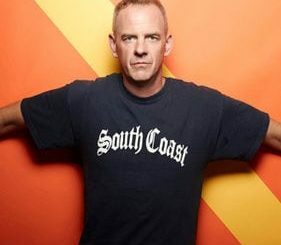 Fatboy Slim will return to Brighton for his fifth Big Beach Boutique party. Brighton and Hove City Council has earmarked September 4 and 5 for the latest of the DJ’s seafront gigs. In a report to Councillor David Smith, cabinet member for culture, the council has confirmed plans to close Madeira Drive for the event. A separate report to the council’s cabinet will be drafted once full details are received. A licence will also need to be approved by councillors. Organiser Loud Sound has told police it will cut the number of revellers for future events and rearrange the site following safety concerns at the 2008 gig. I agree with you Woka. An Alive 2007 esque thing with Norm would work really well on an outdoor enviroment, better than just playing House records, despite most of them being good, don’t sound very FBS-like. As much as we all love to the man to bang out the old fav’s. We forget that he is a huge supporter of new acts, tunes etc:. The best way for him to get that across to the public, is to play them in his sets. It’s still ages away till BBBV. I hope we will get a wee clue as to where he is going this year from the gigs coming up this month in, London, Liverpool, and Brighton. But then again, they will be club gigs. I agree with Woka and Rory,something like the Daft Punk An Alive 2007 would be great.Or as a house set,something like the old Norman that would have played records that no other Dj would,some tunes that would take you by suprise. On The Floor At The Boutique Norm is by far the best. I totally got what you meant the first time Woka,as i have the Daft Punk Alive cd at home,i was at there gig @Oxegen in Ireland 2007 and it was more or less the same set.Yes it would be cool for Norman to play a set along the same lines as that,with mash ups and remixes of all his own tracks. But apart from that if he was to do a HOUSE set i would like Norm to be more adventurous with his record selection.